You are here: Home / All / NLP Podcast / Practical NLP Podcast Back Episodes And Transcripts – Latest Volume Out! 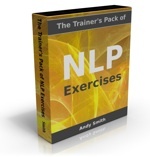 The latest volume of the Practical NLP Podcast collected episodes and transcripts is now available! The theme for this one is mostly around dealing with ‘difficult’ people, although it also includes helpful models for understanding organisational change, predicting the emotional impact of decisions, a useful selection of meta programs, self-awareness and dealing with criticism. with transcripts and downloadable audio for each episode. 34 pages of transcripts and 80 minutes of audio in total. And of course you can get all nine volumes as a bundle to save money!